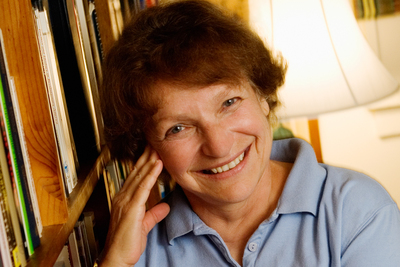 CHAMPAIGN, Ill. — Nina Baym, an internationally recognized scholar of American literature and women’s writings, and a University of Illinois professor emerita of English, died June 15 in Urbana at age 82. Gordon Hutner, an Illinois professor of English who also studies American literature, said Baym “created a kind of macrostructure” for reading women’s fiction. Her work was not solely focused on female writers, however. Baym began writing in the 1960s about major literary figures such as Henry David Thoreau, Robert Frost, Edgar Allan Poe and Ralph Waldo Emerson. Her 1976 book “The Shape of Hawthorne’s Career,” studying Nathaniel Hawthorne’s work in the context of the literary movements of his day, holds a prominent place in American literary studies. Baym also was the general editor of the “Norton Anthology of American Literature,” the most widely used college anthology in the field. She was responsible for broadening the scope of the anthology to include more women writers, said Martin Camargo, an associate dean of the College of Liberal Arts and Sciences at the U. of I. and an English professor. Baym taught at the U. of I. from 1963 until her retirement in 2004. She was appointed a Jubilee Professor of Liberal Arts and Sciences in 1988, the first year of that program, and she was appointed to a Swanlund Endowed Chair in 1997. She also was a Center for Advanced Study Professor of English. Baym served as the director of the School of Humanities from 1976-87 and was named in the first class of Senior University Scholars in 1985. In 2013, Baym was named one of the 25 most influential people in the history of the U. of I. College of Liberal Arts and Sciences. Baym is survived by her husband, Jack Stillinger; a daughter, Nancy Baym; a son Geoffrey Baym; four stepchildren, two grandchildren and four step-grandchildren. Ana Fleming interviews Hannah Downing about her participation in the Spring Grant-a-Thon—an event to bring together local organizations and students—to explore options and creating opportunities in writing grants (for funding). What made you want to be a part of the Grant-a-Thon? Why were you interested in the event? How did you learn about it? I learned about the Grant-a-thon from Kirsten Wilcox when she sent out one of the very early emails announcing the event. I’m pretty sure I heard about it in the fall semester before there was even a concrete date set. I wanted to be part of the Grant-a-thon because it was diving into a type of writing I did not have any experience with, but a type that also seemed very important. As a writer, English major, and eventual job-seeker, I wanted to gain some basic skills in this field of writing. As a writer, I always feel like it is good to be exposed to as many different genres and types of writing as possible. You never know when or where it will help you. The Grant-a-Thon was an all-day affair. What was the day like, in terms of structure? Were there any parts of the event or segments of the day that you enjoyed better than others? The day was very structured. It was nice to have an agenda given to us, so we had an idea of how the day was going to go right from the start. I liked that we had a keynote speaker; I had not even considered that was going to be something at the event, but it helped to hear about writing grants from someone very experienced in the field, before going to our small groups. It gave us some background knowledge to build off of, especially for people like me who did not know much to begin with about grant writing. I honestly enjoyed all parts of the day pretty equally, as they were all intriguing and educational in their own ways. What do you feel like you gained out of, or took away from, the experience? I feel like I gained a whole new idea of what I can do with my writing skills. I honestly had not even realized, before this event, that looking for and applying to grants is such a rigorous progress that people needed specific skills to do it. Further, I had not realized some people even get hired for a position that does just that. I can take away a lot of this and use it when I am looking for jobs and ways to use my writing skills. There is probably much more out there, types of work I do not know about yet, where I can use my writing skills. Is the Grant-a-Thon an event you would encourage fellow students to participate in if it is offered again next year? If so, how would you encourage the students to prepare for the event (perhaps questions for the speakers, etc.)? Is there anything in particular they should pay attention to during the event? I would definitely encourage other students to take part in this event if it is offered again. I brought along a friend to the event. Even though she is not an English major, or as attached to writing as I am, I knew she was looking into health administration as a career, and knowing how to effectively search for and apply to grants could be very helpful in that field. Therefore, I would encourage many of my fellow students to attend, even if they are not looking into a career of writing. These skills to could apply to many organizations and jobs. I would encourage fellow students to look up organizations they are interested in and discover they are funded. For attendees: learn about the speakers ahead of time, so you can prepare questions in advance of your participation. Coming from the Grant-a-Thon, if one of your peers expressed interest in grant-writing, what would be one critical piece of advice you could now give them? I would tell them to read all of the instructions and follow them exactly as they are written!! I could not believe how many applicants do not do that. Knowing this—follow the instructions— seemed to give an applicant a good leg up. Do you think events like the Grant-a-Thon are useful to students in thinking about professional goals, speaking from your personal experience? Definitely. As I mentioned before, this experience helped open my mind to just how many things I can do with my writing skills and to the fact there are so many jobs out there that you may not know about, simply because you have not been exposed to them. Workshops like these, especially day-long ones, are a great opportunity to actually learn the basics of a topic and skill, like grant writing. Shorter workshops may not feel as helpful because they may not go into the depth longer workshops do. Are there any other comments you wish to make regarding the event? I love the fact we were given a book! It will be a great resource to have if anyone needs to look into the things we discussed during the event, and it can allow us to look further into the skills we learned. Do English majors get jobs? Yes! THE NUMBERS ARE IN! According to the second annual College of Liberal Arts & Sciences Report (2015-16), 83% of English majors whose data was collected (a majority coming from the campus-wide online survey) reported securing employment after graduation, while 12 percent reported continuing education, and one percent reported post-undergraduate plans involving volunteer work. According to Kirstin Wilcox, the Director of Internships for the Department of English, eighty-three percent is a considerable increase from last year’s numbers, which reported about fifty-nine percent of English majors landing jobs—a figure relatively consistent across students in LAS. As Kirstin points out, with eighty-three percent of English majors obtaining employment after graduation, the report confirms what the Department of English has known all along: English majors get jobs—interesting ones, to boot. While the average starting salary for English majors, according to the 2015-16 report, is $36,161—a number on par with the average starting salary for students in the Biological Sciences, at $36,718—this lower number tends to result as a side effect of students seeking jobs in competitive but rewarding fields, including the arts, the entertainment industry, and the nonprofit sector. These fields are either highly competitive, tend to require long apprenticeships, or, in the case of nonprofits, are working with tight budgets and, as a result, offer lower salaries to entry-level employees. Often, especially with Creative Writing majors, students will take jobs with lower pay but still afford the time and mental space necessary to sustaining a productive creative practice. Alternatively, and in many cases, English majors spend a few years floundering, testing the waters in different industries with both a spirit of exploration and pragmatic investment in order to find out what sort of positions are actually a good match for their personal interests and professional skill sets. Similarly, graduated students who majored in English tend to spend a few years working in paraprofessional positions before pursuing graduate study—a potential reason only twelve percent of our majors immediately selected this route. Since Masters and PhD programs involve a hefty time and economic investment, students often seek to gain firsthand experience in their fields of interest (especially those for which higher-level positions might require continued education) before taking on the commitment to earn an advanced degree. 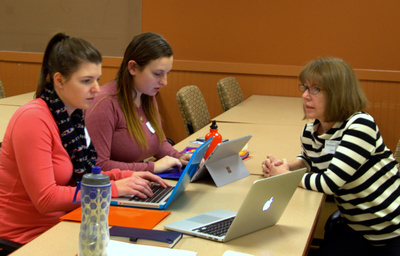 One of the department’s major goals is to help students reduce the amount of time they spend testing out their options after graduation by offering as many opportunities as possible to students while they pursue their undergraduate degree. In many cases, post-graduation floundering will be inevitable; one never knows when a change might be needed or when the perfect opportunity might surface. However, by helping students find internships throughout their undergraduate career, connecting students to the Alumni Mentoring Network, and hosting career talks within the department, the Departments of English and Creative Writing strive to help students not only eliminate the (needless!) fear of joblessness but also land a job they love. English and Creative Writing majors go on to do all sorts of interesting things—surprising things! Our alumni keep confiming this. 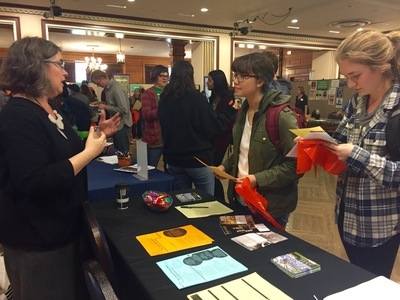 If you are a current student and wish to learn more about the types of jobs available to English and Creative Writing majors, please feel free to contact Kirstin at kwilcox@illinois.edu, or make an appointment through the English Advising Office.